The House Financial Services Committee committed itself to reporting out legislation that would clarify the intent of the Collins Amendment." HFSC committed itself to reporting out legislation that would clarify the intent of the “Collins Amendment." 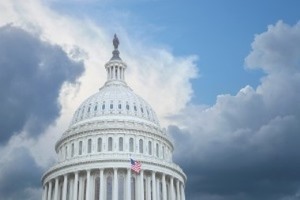 The House Financial Services Committee has postponed until today votes on bills re-establishing the National Association of Registered Agents and Brokers (NARAB) as well effectively shutting down the operations of the Federal Stability Oversight Council (FSOC) for at least six months. At the same time, the panel committed itself to reporting out legislation that would clarify the intent of Sec. 171 of the Dodd-Frank Act, the so-called “Collins Amendment.” However, while the committee added the NARAB provision to H.R, 4817, H. R. 4871, the must-do TRIA Reform Act of 2014, members said they would delay action on that bill until they could find another bill to attach it to. That could mean that the House FSC wants to include the bill, which passed the Senate unanimously June 3, to controversial legislation its members want, but which may face strong opposition on the House floor or in the Senate. The House also debated H.R. 4881, sponsored by Rep. Randy Neugebauer, R-Texas, and H.R. 4387, both of which would tie the hands of the FSOC in designating financial institutions as systemically important financial institutions. H.R. 4881 prevents the FSOC from designating any financial institution as systemically significant for six months, which could be increased to one year through another amendment. H.R. 4387 would subject the FSOC to the Government in the Sunshine Act and allow members of Congress who serve on FSOC oversight committees to attend council meetings. The bill also would allow all members of the regulatory agency boards and commissions that are represented on FSOC to participate in meetings — not just the politically appointed head — and to indirectly vote on FSOC proposals.